Save time, prevent duplicate work & reduce errors. Enter information once. Use multiple ways. We understand that a large part of your day is devoted to pulling information from several systems, paper files, and even post-it notes. 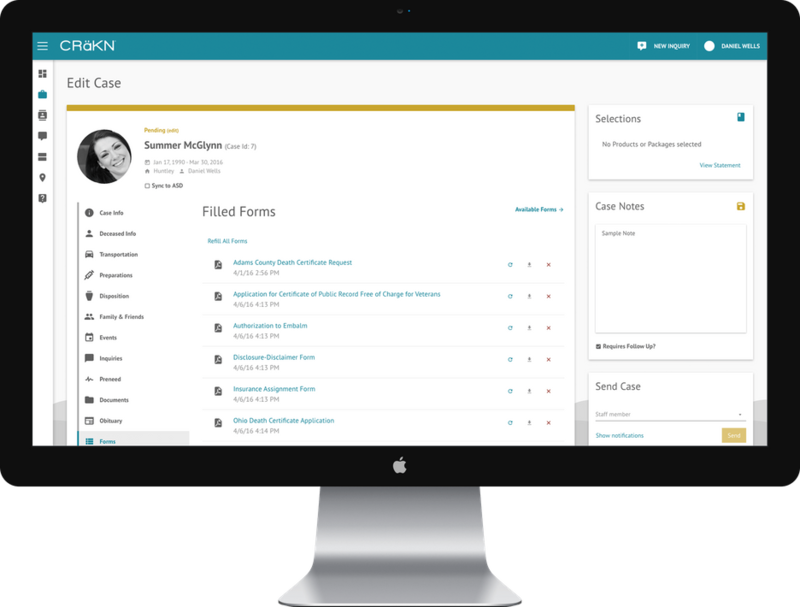 CRäKN's single entry system eliminates duplicate administrative tasks. Forget about handwritten forms that need to be typed up later. Integrate with your call answering service and accounting system? No problem. Convert pre-need records to at-need arrangements? Done with the click of a button. It really is that simple! Track all events using the digital whiteboard. You can see who is working the events and pending details that still need to be finalized; so the ball never gets dropped. Use the notification feature to alert staff to what services they are working. All of this can be done from your laptop, tablet or smartphone. CRäKN makes it so easy. Avoid paying meaningless fines or suffering a bruise to your reputation. 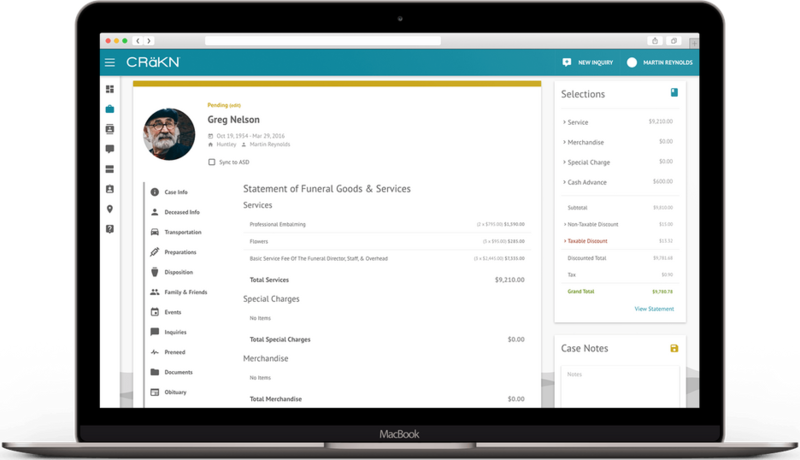 CRäKN’s digital GPL, order entry, and the One-Click Statement of Funeral Goods & Services allow you to rest easy knowing that no matter who is working with the family, you have the consistency and transparency that you need. What a relief! No contract. Unlimited users. We strive to be great at what we do. So, we won’t lock you into a contract. We also want the entire staff to use the software every day, so we won’t charge you for individual users – even the office dog. Request a demo to see how easy and affordable it is to take your business to the next level. Let’s get CRäKN!